In the first part of this tutorial on how to install WordPress locally we downloaded and installed WampServer. 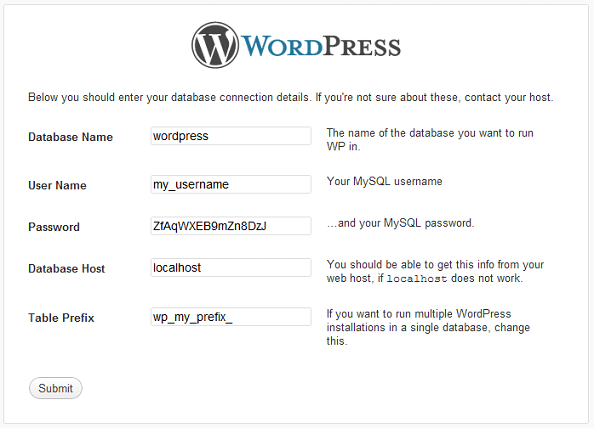 In this second part we´ll complete our local set up by creating a database and installing WordPress. If you´ve read our previous guide on installing WordPress this process should be pretty familar. Important: don´t copy the database name and username from this article. Use your own secure names instead. If you already installed WordPress on a live server, we recommend you to use the same database name and user for yor local instance. In phpMyAdmin, select the Databases tab in the top menu, write your database name in the input field and hit the Create button. Your new database will now show up in the list of available databases. Click on the name of your database. This will open your database settings panel. Fill in a username and strong password. Copy these details, you´ll need them in a minute. Set the host field to local. 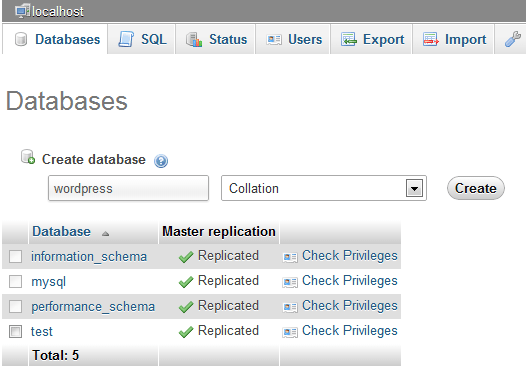 Verify that your newly created database is selected. Don´t select any Global priviliges – our user only needs access to the WordPress database. When done, click Add user. On a live webserver, websites usually have their own public_html directory where all website files and scripts are located. If you´re hosting your WordPress site on a shared server, you´ll only get access to the public_html folder of your own website. 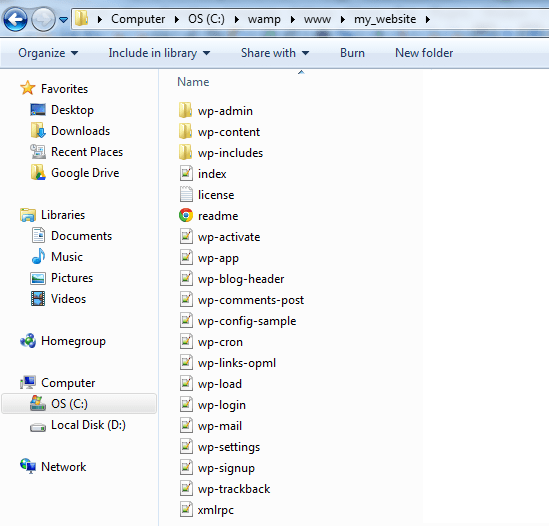 However, with WampServer we have a complete server at our disposal. We can create as many websites as we want and install as many instances of WordPress as necessary. Browse to the www-folder and create a new directory using the name of your website. Open http://localhost/my_website/ in your browser (replace /my_website/ with the name of the folder you created). WordPress will ask you if you want to create a configuration file. That sounds like a good idea. Click the Create a Configuration File button. On the new screen, you´ll be asked to enter your database name, username and password. Also change the wp_ prefix. When done, click Submit and Run the install on the next screen. The next screen should look familar: you´ve now installed WordPress on your local computer. Fill in your site details and don´t forget to change the admin username.